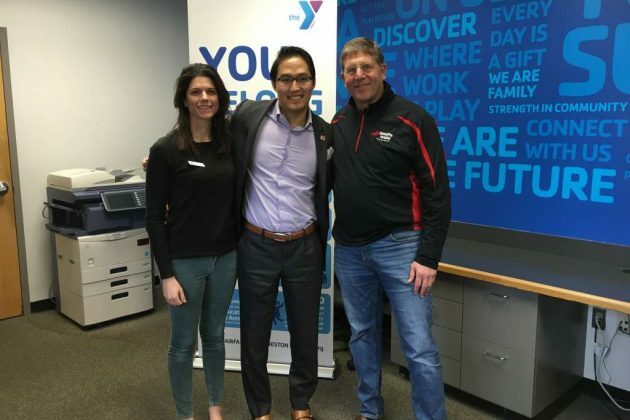 The Y’s Kelsey Durkin and Joseph Crawford stand with SpeedPro’s Roman Blazauskas. The Y’s Joseph Crawford with SpeedPro owners Roman Blazauskas and Shawn Flaherty. 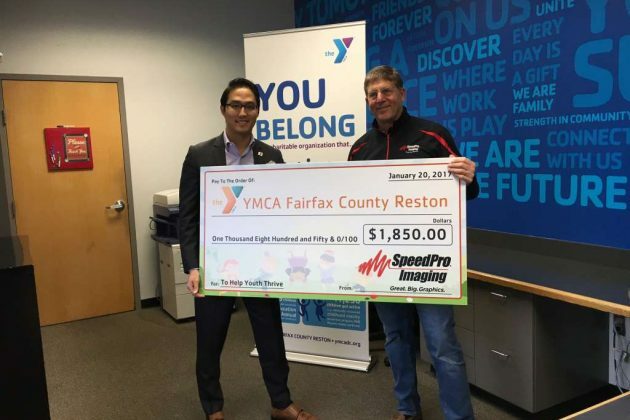 YMCA Fairfax County Reston recently received an $1,850 donation from SpeedPro Imaging Northern Virginia to support its youth programming. 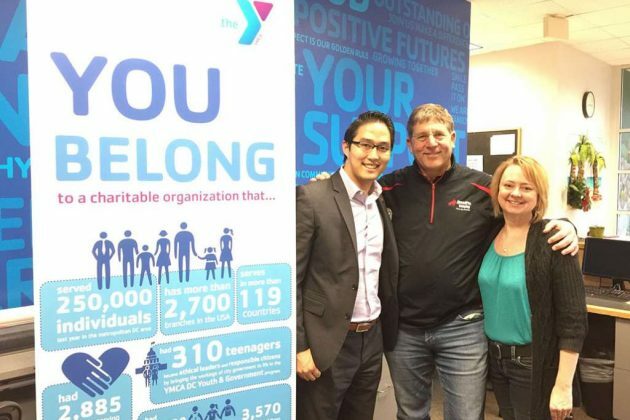 Roman Blazauskas, president of SpeedPro Imaging Northern Virginia, said in a press release that the funds will help support the Y’s efforts to help less fortunate youth attend preschool and day camp. SpeedPro NOVA’s program serves as the cornerstone of its overall community relations efforts, which includes volunteerism and sponsorships. Recognizing this commitment, Blazauskas was honored as Volunteer of the Year by the Greater Reston Chamber of Commerce in 2016. The company also recently announced it will make Loudoun Habitat for Humanity its 2017 Charitable Partner.